Large rallies took place across six cities in Bulgaria on 22 October, demanding the resignation of Deputy Prime Minister Valeri Simeonov following comments he made disparaging protesting mothers of children with disabilities. Simeonov, co-leader of the fascistic United Patriots, who is already notorious for his anti-Roma racism and being convicted for hate speech, described the mothers as “shrill women with supposedly ill children”. Below is a translated and abridged version of an article published in Bulgarian by Daniela Mihailova, Legal Director of the Equal Opportunities Association, Sofia. The protests are ongoing and the demands for Simeonov’s resignation have not been met. In an open letter to Prime Minister Boyko Borisov and Deputy Prime Minister Valeri Simeonov, the National Network for Children, a coalition of 149 organizations working with over 73,600 children, called for the immediate resignation of Simeonov “in connection with his absolutely unacceptable comments towards and treatment of the parents of children with disabilities.” Thousands backed this demand on Facebook; protests are being held in Sofia and around the country. So, how have we ended up here, and how do we account for the failure of our society to accept our differences and to give Bulgarian Roma people a chance? Do we realize or understand why we are heading in the wrong direction, or comprehend who is leading us towards disaster? On 25 May 2017, Valeri Simeonov, leader of the ultranationalist political party National Salvation Front of Bulgaria (NFSB), was appointed Chairman of the National Council on Ethnic and Integration Affairs of the Council of Ministers, a consultative and coordinating body dealing with issues related to the rights of and policies concerning minority populations in Bulgaria. Civil society condemned this appointment as ‘scandalous’, and viewed his confirmation as Deputy Prime Minister as deeply unacceptable. An open declaration and petition backed by leading civil society activists and intellectuals and over 15,000 signatures was submitted to the Prime Minister, objecting to the appointment of an outright supporter of fascist and neo-Nazi ideologies to a position responsible for the integration of minorities. The question was plainly put — were these cynical political communications regarded as somehow “meritorious”, resulting in Simeonov being awarded the chairmanship of the National Council for Cooperation on Ethnic and Integration Issues at the Council of Ministers? The reply to Bulgarian civil society, academics and public figures has been all too clear. More than a year later, Simeonov remains in post as Deputy Prime Minister and still heads the integration council. The results are also equally clear: there has been a marked escalation in the use of hate speech (why should society refrain when the Deputy Prime Minister gives free rein, without repercussion, to his racist views? ), racial fear and anxiety towards Romani people in our country are increasing, and there has been a rise in specific incidents and manifestations of ethnic intolerance and racism. This coincides with widening material disparities, growing inequality and greater social exclusion, and a lack of political awareness of the consequences of these trends in societal deterioration. And so, the questions remain: Do we recognize the road we have taken and the perils that lie ahead? Clearly, civil society already understood the answers—it had already warned that this path is unacceptable. 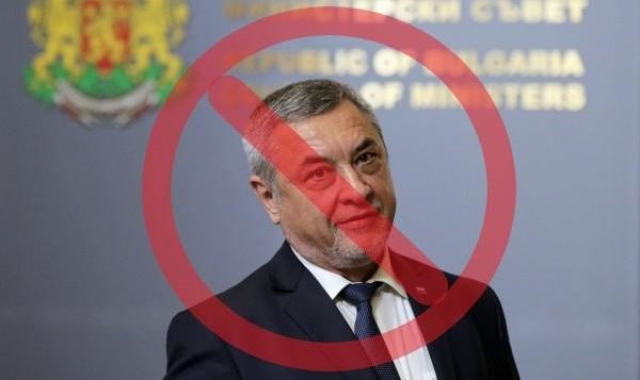 It stressed the dangers and concerns of inadequate political choices and appointments, demanded change, and called for the immediate resignation of the wholly unacceptable, scandalous racist and ultranationalist Valeri Simeonov. Using a deeply pejorative racist term when explaining that the apartment building in Germany, where the suspect of Victoria Marinova's murder was arrested, was “populated with ‘Papaun people’ that is, you understand, people from all ethnicities, who are dangerous”. Simeonov cares little about Roma integration, he cares less that Roma children study in segregated schools where they receive the lowest level of educational services. He does not care that employers refuse to hire candidates simply because they are of Roma origin. He is not interested in the fact that a huge percentage of Roma live in homes that are under the daily threat of state-enforced demolition. He does not care that the majority of Roma are systematically excluded from the healthcare system. He does not care about the widespread use and acceptance of hate speech, because his speech is of one and the same character. Finally, society is reacting to this. Good for us! With all our hearts, we—in the human rights and Roma rights movements—support the mothers of disabled children! But let us finally realize that one thing leads to the other: that all who are different and all who are vulnerable are in danger. We should not react only when the protests themselves happen to be “popular”. We do not question why the Prime Minister Boiko Borisov felt the need to apologize to the mothers, but has not felt any similar compulsion to apologize to the Roma. Nor has he taken any steps to prevent any further use and broadcasting of racist hate speech. Did he ask for Simeonov’s resignation—this coalition partner who undermines Borisov’s pretensions to be seen as head of a democratic government of a member state of the European Union? Around the world puzzled eyebrows are raised as politicians and analysts wonder if their Bulgarian counterparts really think they can solve their problems in the way. Really?